You can add external users/groups while creating and modifying groups. 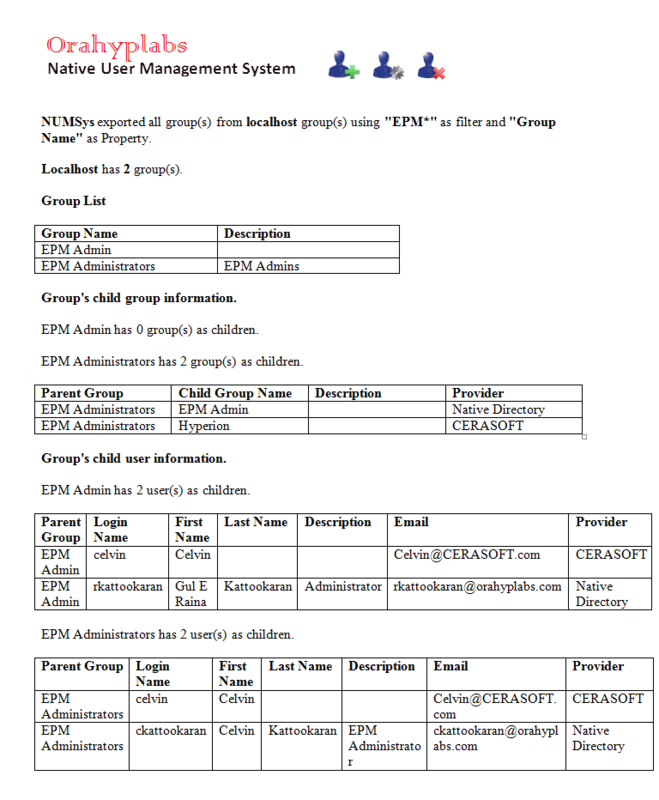 Mention the external user’s/group’s login information while creating native group. You can even assign the groups that you are creating to another group. 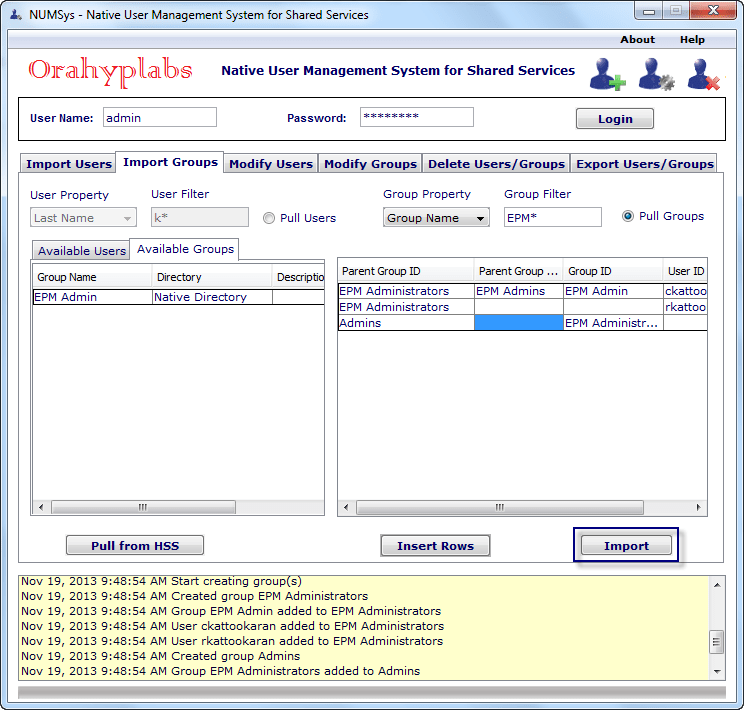 As shown in the example above, NUMSys will allow you to create “EPM Administrators” group and will allow you to attach it to a new group called “Admins”. Export Groups is updated to provide external user/group information. Now most of the things from wishlist is done, I think it is time to add more to the list 😉 If you have ideas please let me know. i am using Hyperion 11.1.2.1 ver using…but for me it is not working. Hi — Very cool tool. Does this also work with 11.1.2.4 HSS? It should work. There is a web version which is the latest.